Identifying five tasks for the day: While Bronx Arena advises that students should complete five tasks per day, students can choose what those tasks are based on what they think they need to accomplish. Mapping out focus and secondary credits for the week/month: Students choose the primary and secondary credits that they work on over the course of a set period of weeks and months. 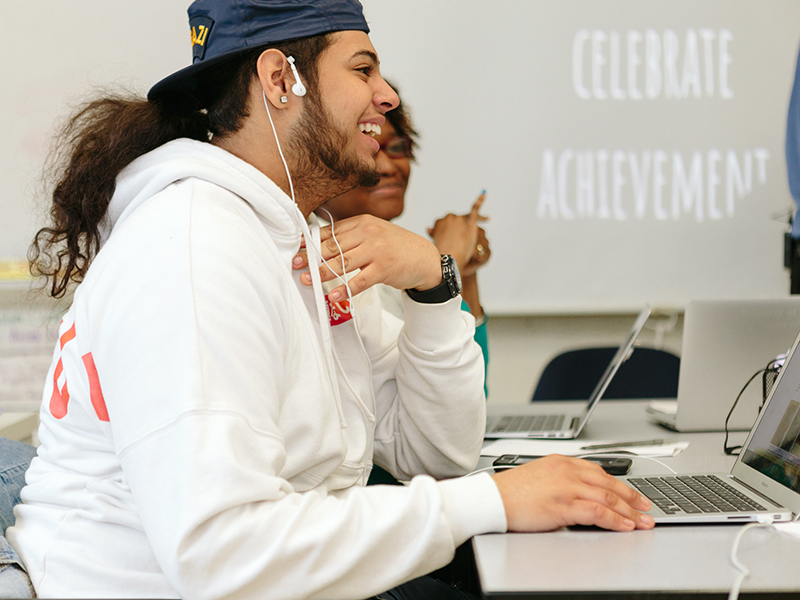 Choosing competencies and skills they need to work on: Bronx Arena identifies competencies that students must show mastery in outside of their core subjects, and students can pick which ones they work on and when. Tracking the credits they need to achieve to hit their goals (posted on sticker/color charts). Students also decide how they will break down their responsibilities throughout the day and year, deciding what tasks to work on and when to complete them. Students are in control of the pace at which they work, as long as they have the skills to do it. They are evaluated by the number of tasks they complete in a day and how they perform on challenges and capstone projects. Since Arenas are four hours long, students have ample time to complete learning tasks, work in small groups with content specialists, and receive one-on-one time with their generalist or Advocate Counselor. By having this much ownership and agency over their learning experiences, even the way students describe classes shifts. Teachers no longer have one class but multiple classes in a room at once, and students don’t refer to one room itself as their class but instead call their individual courses “my class” because it is truly individualized and customized to match their needs. This results in students that are excited to learn, grow, and push themselves to higher expectations because they are the ones who own their learning.